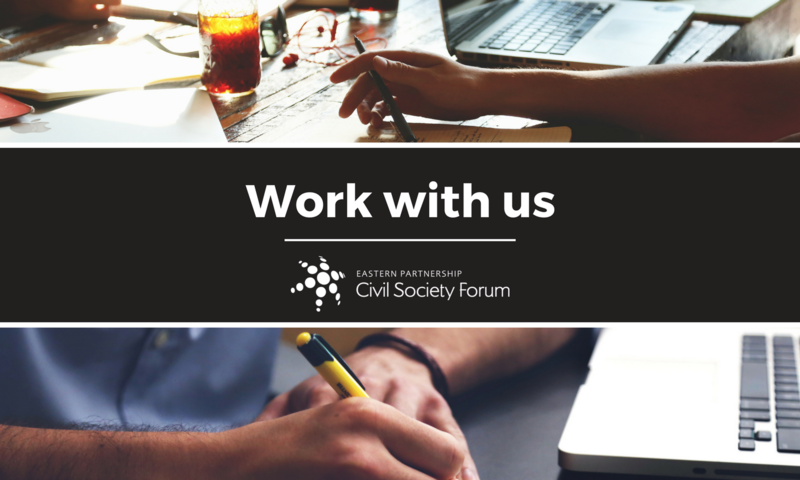 The Secretariat of the Steering Committee of the Eastern Partnership Civil Society Forum (EaP CSF Secretariat) is accepting applications for the position of Finance and Grants Manager, who will be directly responsible to the Director of the EaP CSF Secretariat. IMPORTANT: depending on the profile of the candidate (accountant), the accounting function which is currently outsourced may be internalised and the position may be extended to full-time. Financial and grants management responsibility of the Financial Support to Third Parties of the EaP CSF Secretariat under the project funded by the EC including updating and/or drafting guidelines for applicants, supporting the selection procedure, revising contracts with grantees, ensuring timely disbursement of instalments, ensuring adequate and timely receipts of financial reports, and building and maintaining relationships with grantees. On these duties, the Finance and Grants Manager will work in close collaboration with the Advocacy Manager. Perform any other duties that may be assigned or required. Bachelor’s degree in Finance, International Management, Business Administration or related field. Be methodical, accurate and organised. Benefits package including lunch vouchers and transport allowance. Deadline for applications is June 10, 2018.